Fontainebleau offers thousands and thousands of problems and sometimes the sheer amount of them makes you dizzy. You will have fun by climbing lines as they come your way but if you wish to find the most beautiful problems some planning is needed. Create your free account to 27 Crags and get one week free access to the most complete topos of Fontainebleau. Here's the PART 2 about the most beautiful routes in the magical destination of Fontainebleau. We hope this will help you to find the best lines and to get the most out of your trip! As mentioned before, don't hesitate to jump to the discussion in the comments. There is only one truth about the beauty and the grade of a route, right? Read PART 1 here. Most of the boulders are low and the landings are flat and sandy. This is a perfect place to spend the entire day, either climbing or just chilling in the sand. 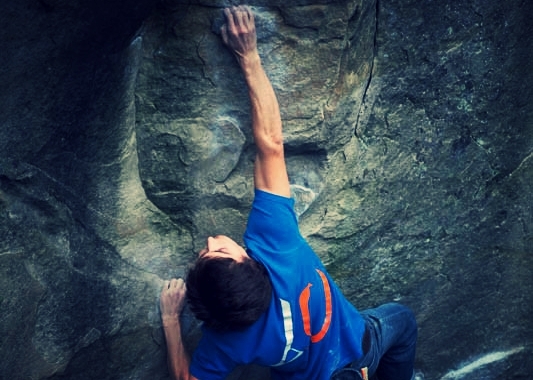 Epreuve de force 5+, P. Viljakainen: Cool topout! Presse Citron 6A, A. Forsberg: Scary on the top. Le Toit du Cul de Chien 7A, F. Abrahamsson: The classicest of the classics. Eclipse 7C, M. Piccolruaz: Perhaps one of the best boulders I've ever climbed! This area is only 5 minutes walk from the parking, but it's still rather calm. Franchard Sablons contains a big amount of great problems in the whole grade range and the boulders are mostly low with good landings. Franchard Cuisiniere is one of the legendary sectors. It was hugely popular before the road was closed to the Cuisiniere parking. Now you have to park your car to Isatis and take approximately 15 minutes walk. So close, so quiet, so good. Hautes-Plaines has many classic lines and is situated just a throw away from Isatis and the rock quality is one of the best in Font. Hautes-Plaines has a huge amount of 7's and an awesome orange circuit. Don't let the color of this one fool you though! 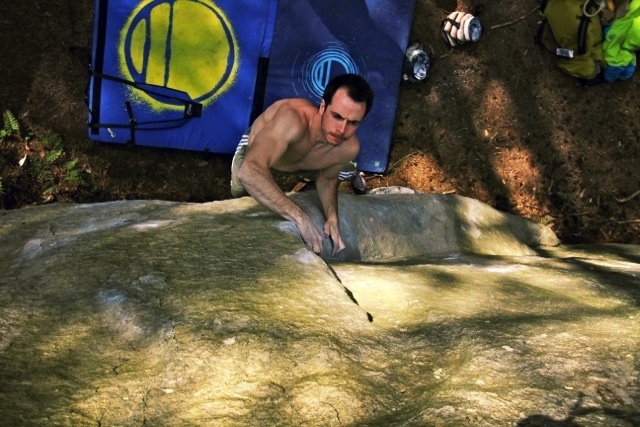 It might surprise with some tricky boulders on the way. The sector offers gems in all grades and the circuits are top notch. Orange one is a very nice for a relaxed day or a full day adventure. The blue circuit is a nice climb through the sector, but some of the problems feel very hard for their grade. The red circuit is TD, so the grades are around 5 and it's very enjoyable. Couple of the problems are very high though and can get intimidating. Gorge aux Chat is a smallish sector at the area of Trois Pignons. There are people living just near the sector, so try to keep quiet. We know it can be super hard to keep your emotions inside you when trying hard! But still, one can try. The landings are good, except for few exceptions. On weekends, Roche aux Sabots turns into a popular pique-nique site when French families go have their walks around the paths. Besides climbing and pique-niques there are a lot of running competitions, horseback riding and mountain biking around. From the circuits point of view the orange one offers 42 nice problems - including couple of hair-rising slabs. The blue circuit is also one of the very best circuits around the forest. In case you're camping in Mousardiere, this sector is basically a walking distance away. As the Roche aux Sablons is very popular, it's especially important not to leave no trails of your climbing, including trash and tickmarks. That's all folks! Now it's time to send. Comments about the list? Would you like to get route suggestions from some other climbing destination? Comment below! Text by Hanna Vartia, who's working as a marketing manager @27 Crags and prefers her rock 5 meters high. 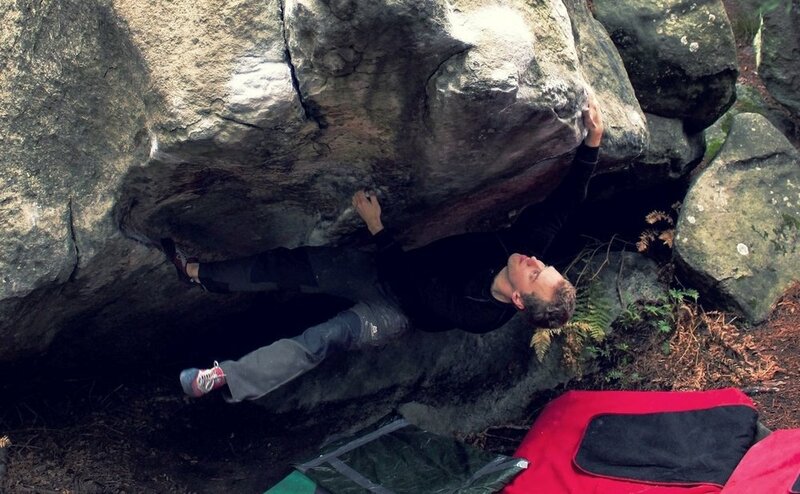 27 Crags topos are made by local climbing area developers and enthusiasts. From the .premium subscriptions 50% of the income will go straight to the topo authors who are doing extremely important job in developing the climbing areas. Join the community here and get a free trial of 200+ topos!